1) I’m busy working on the sock for Tangled. It’s encrusted with twisted-stitch cables, so it’s slow going compared to my last sock design, so I was starting to get worried about the deadline. Then I remembered that I thought about that when I designed the sock- that’s why the sock has a mostly stockinette foot, to balance out the slow cuff and leg. Less worried now. 2) I ordered an inkle loom from Palmer Looms. I can’t wait for it to get here. 3) When I need to let my hands rest from knitting, I have been spinning up some fiber for a sample to see what spinning laceweight is like. Yesterday I made this cute little skein. It was… really fun. Hard to describe fun. 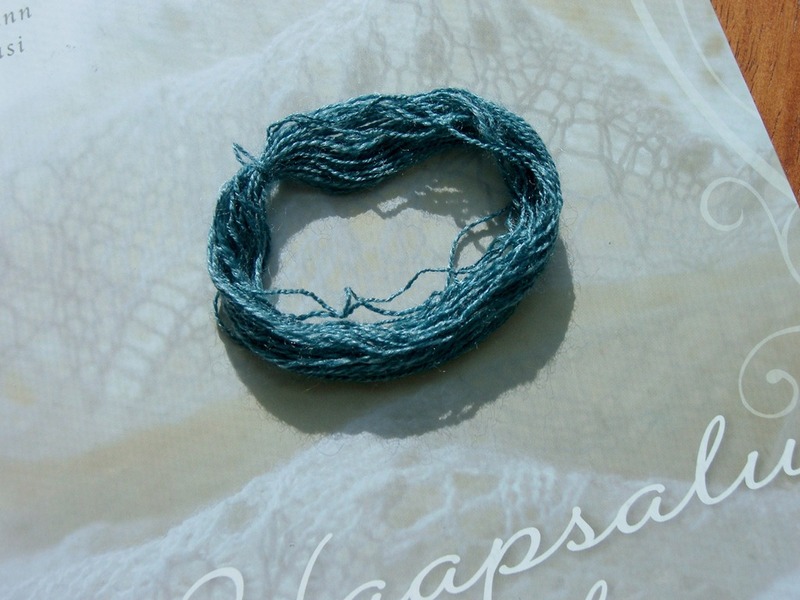 But I really enjoyed it and I have a feeling I’d better learn to like lace knitting more or find a friend who does, because lots more laceweight spinning is in my future! 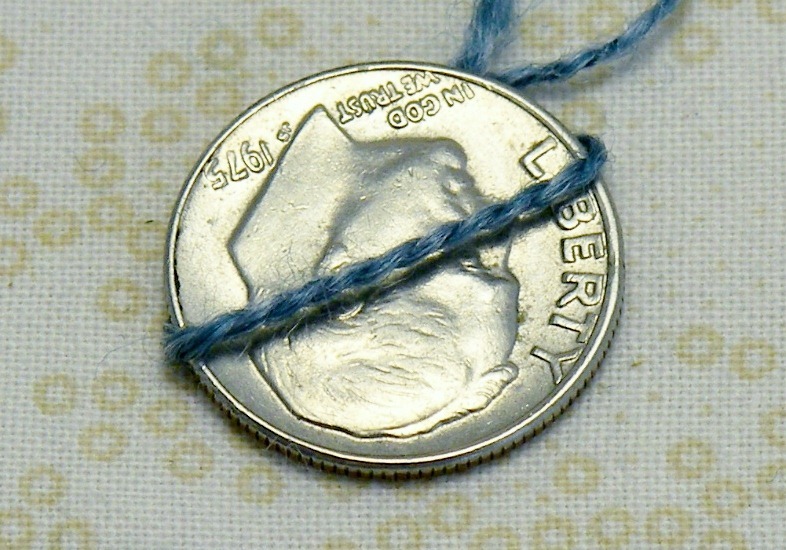 4) Looking back on that last thing, I can’t help thinking how fun it is to spin big fast yarns with a long draw. Maybe I don’t need to get into lace knitting too much. 5) Either way, I’ve been designing a shawl on the side. I’ve always wanted one and I’m not sure why. Sure, they’re pretty, but would I ever use one? Probably not. But the urge has become to strong to resist. I wasn’t thinking about knitting or spinning lace until I went to the library last week. 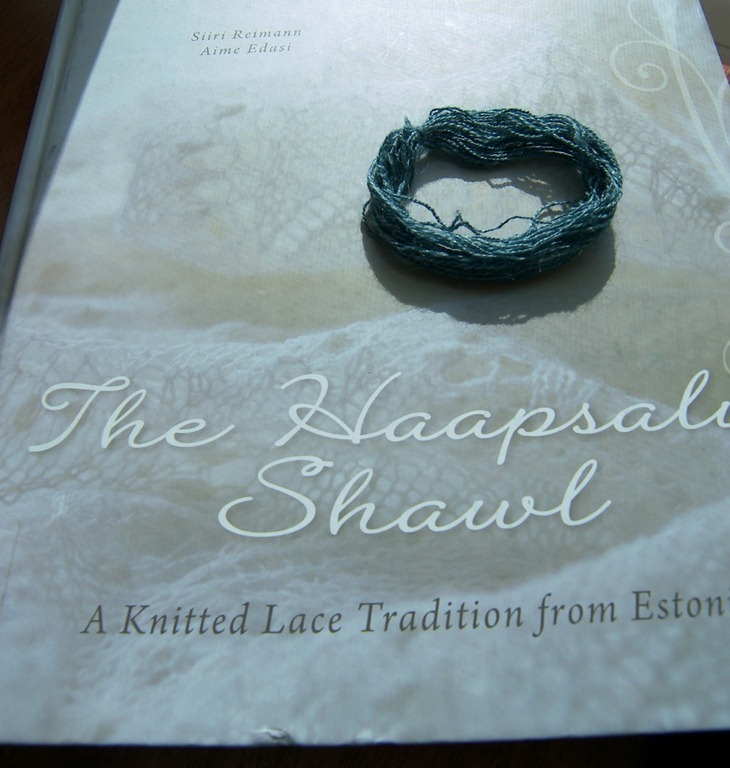 I found a giant book about Haapsalu lace shawls and in it’s stitch dictionary, I found the lace pattern that I have always wanted. 6) It’s going to be a rectangular shawl with scalloped edging on the short sides. Sort of like some of the shawls in Knitting Lace of Estonia. I think the project will be relegated to the UFO (unfinished objects) bin if I try to pick up stitches all around it and knit a border. I don’t think knitting a separate one and sewing it on has better odds either. 7) I’ve got to get back to knitting that sock now.